Maddie Morgan is a fourth generation professional furniture maker trained in both the classical European and Japanese artisan woodworking traditions. Following a lengthy career as a furniture designer/maker, she joined the faculty of The Evergreen State College where she taught courses in Furniture Design, Furniture Making, and Traditional Japanese Architecture and Building Practice for 14 years. 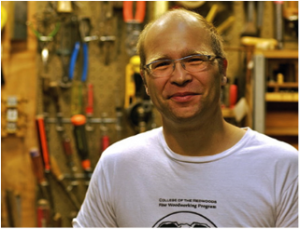 Arbutus Artist-in-Residence, furniture maker and instructor. Jay T. has worked with wood for over 30 years and for the last 17 years has built his own furniture business. As a teenager, he apprenticed with his uncle who was a furniture maker. Jay T. moved to Olympia in 1989 to attend The Evergreen State College. He later enrolled in James Krenov’s Fine Woodworking Program at The College of the Redwoods. After finishing the program, he moved back to Olympia, married his creative co-conspirator, Nikki McClure, and they now raise their son Finn. He has a deep passion for working with the medium of wood: its colors, textures and smells. His work is inspired by Danish modern and mid-century designers. 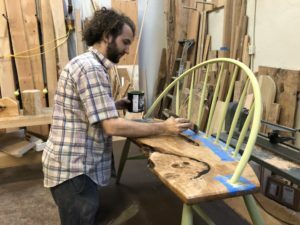 At Arbutus, Jay T. will be teaching plane and spoke shave making, “tips and techniques” classes covering basic joinery and furniture making processes, and perhaps a class for adults about woodworking with their children. I make what I like to call “Functional Art”. These are items turned on a lathe from reclaimed/recycled wood that have a functional use, yet reflect the natural beauty of the wood. I’ve been teaching woodturning to ages from 7 to 70 for the past 12 years. 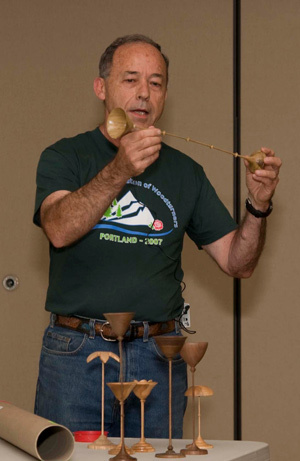 I mentor other woodturners, am the founder and past-president of the Olympia, Washington woodturning club. I volunteer with the local high school wood shop where we have several students learning to turn wood, and I chair the annual youth program for the American Association of Woodturners (AAW) Symposium. I’m often called to make specialty items and do restorations work to order. Ben has been developing his ﬁne woodworking skills since 1997 when he studied industrial technology at Berea College in KY. During this time his passion for craft was also focused on clay, metal and many hours on the lathe apprenticing with master woodturner Rude Osolnik. 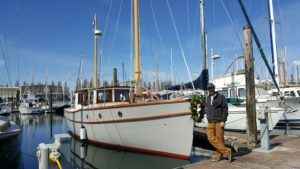 In 2000 he attended the Northwest School of Wooden Boatbuilding in Port Townsend and developed a career designing, building and repairing wooden boats. While working in the shipyard was educational and full of camaraderie, Ben felt like something was missing. The urge to teach compelled him to try for a job at the boat school he attended 6 years prior and the rest is history. During the last ten years he has been teaching at the school and doing projects at home in his shop. 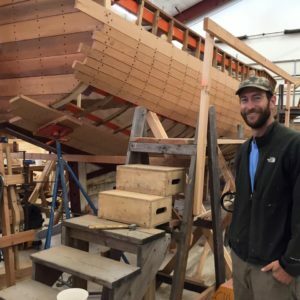 Watch historic reproduction boats designed and built by Ben in this BBC TV show re-creating John Wesley Powell’s historic first trip down the Grand Canyon! 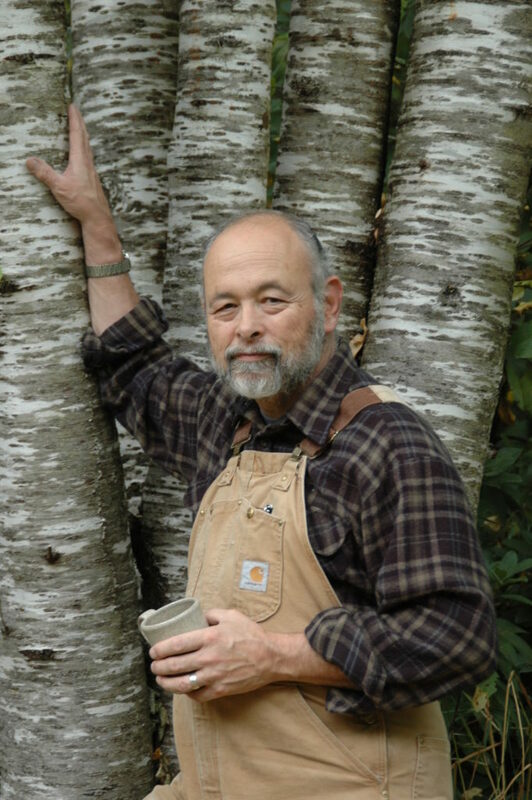 Michael Dresdner is a nationally known finishing and woodworking expert, the author of Restoration Clinic; The Woodfinishing Book; The New Wood Finishing Book; Build Like a Pro: Painting and Finishing; and Wood Finishing Fixes as well as four videos and two DVDs on wood finishing. 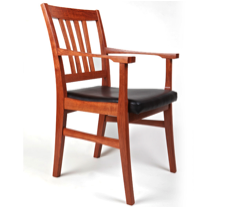 He appeared as Contributing Editor on the mastheads of Fine Woodworking Magazine, American Woodworker Magazine, and Woodworker’s Journal, and was the founder and host of a weekly online finish chat. He wrote the Just Finishing byline column for American Woodworker Magazine for over 7 years, and the Finishing Thoughts byline column for Woodworker’s Journal for more than 12 years. 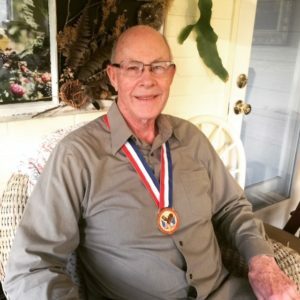 During one five year period he wrote answers to over 8,000 questions for the www.woodanswers.com website blog, and edited the Woodworker’s Journal eZine, an award-winning online woodworking magazine with over a quarter of a million subscribers. 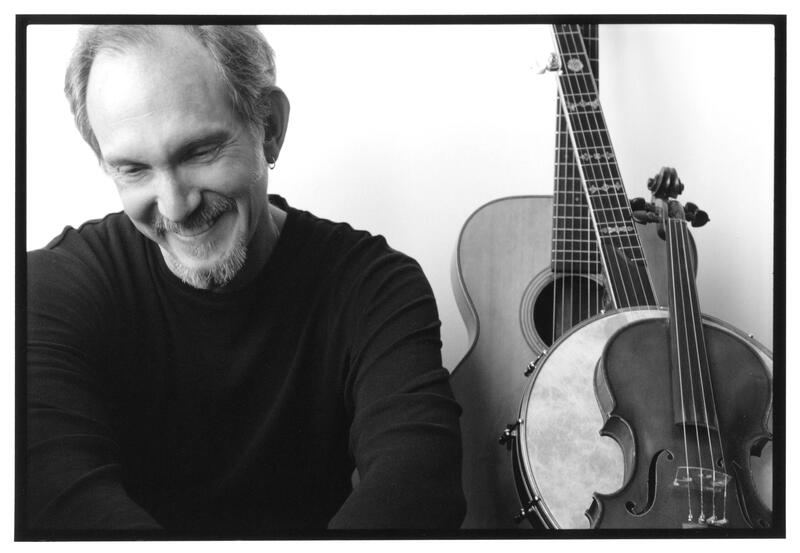 In the past, he also has written byline columns for String Instrument Craftsman, The Wood Post, Vintage Guitar Bulletin, and the Sound Advice column for American Lutherie magazine. He has written thousands of articles and columns for a variety of books and magazines including This Old House Magazine, Fine Woodworking Magazine, American Woodworker Magazine, Woodworker’s Journal, The Wood Post, String Instrument Craftsman, Guitarmaker, American Lutherie, Vintage Guitar Bulletin, Readers Digest Books and Time-Life books. He is former Director of Research and Development for Martin Guitar Company, the former founding CEO of Tacoma Guitar Co, and has taught and lectured extensively for a wide range of guilds, colleges and organizations including the Smithsonian Institution, Anderson Ranch Arts Center, AWFS, Seattle Central College, Renton Technical College, American Institute of Organbuilders and The Architectural Woodworking Institute, to name just a few. Peter Ali is a talented and self-taught Native flutist creating his music not from notes, but from spirit within so each performance is unique and special. 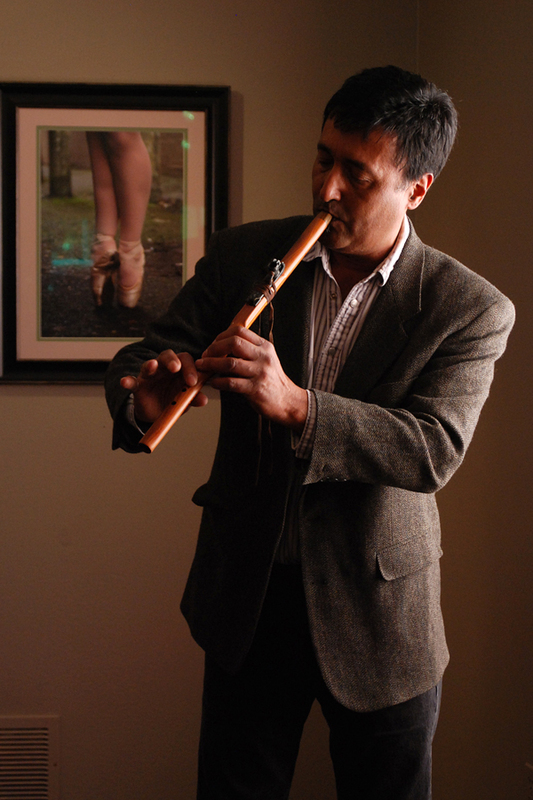 He plays a variety of native flutes and shares their stories as well as stories of his rich ethnic heritage. His Father from Morocco is Berber and his Mother is of Mexican Indian heritage (Maya, Pima Suri) as well as and Italian from Sonora Mexico. In the last 9 years he has taught workshops for Indian Education programs. In 2008 he had the opportunity to play for the Dali Lama on Children’s Day during the Seeds of Compassion tour. In 2009 was diagnosed with cancer, was able to overcome this and continue to share his music and stories for all ages and people. Listen to the sounds of eagle, rnning river, nature and spirit in the flute’s song. 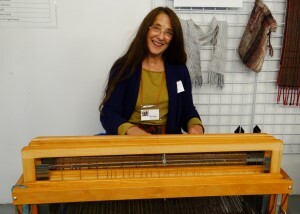 Marjorie Erikson has been weaving cloth on a variety of floor looms for over 25 years. She has taught private lessons in her home for at least 20 years and now teaches Beginning Weaving for the Olympia Weavers Guild. Her work has been shown in Galleries in WA, OR, CO, CA and WI. It has also been published in Handwoven Magazine and Shuttle, Spindle and Dyepot. She holds awards from the Handweavers Guild of America, Handwoven Magazine, Association of Northwest Weavers and WA State Fair. Continuing to learn new weaving techniques and passing along her knowledge of weaving is of utmost importance to her. Emily Gray has been knitting for 10 years, spinning for five, and has been captivated by fiber for much longer than that. When she’s not working with fiber or attending fiber festivals around the Northwest, she can be found practicing her communication skills, working alongside her husband on their property, and spending time with family near and far. 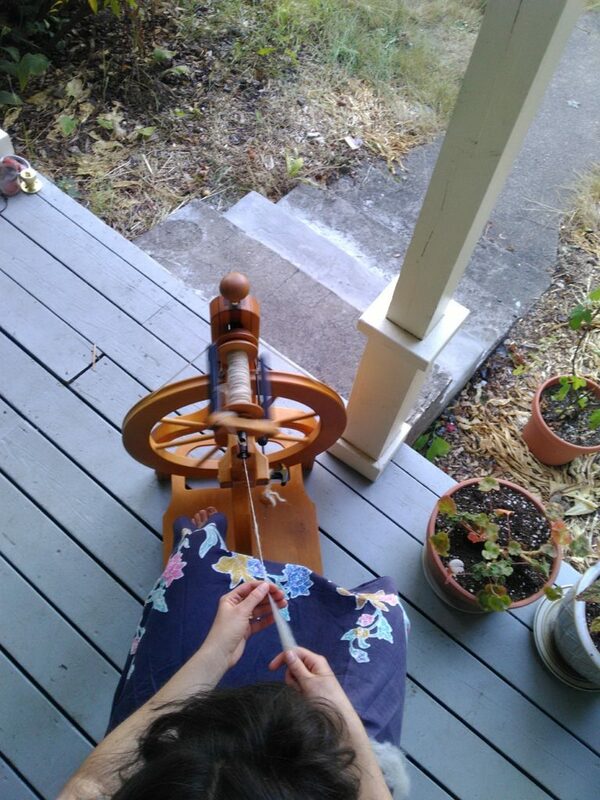 Melissa Peterson-Renault, a member of the Makah tribe of Neah Bay, Washington, learned to weave as a child and continued learning the tradition through adulthood. 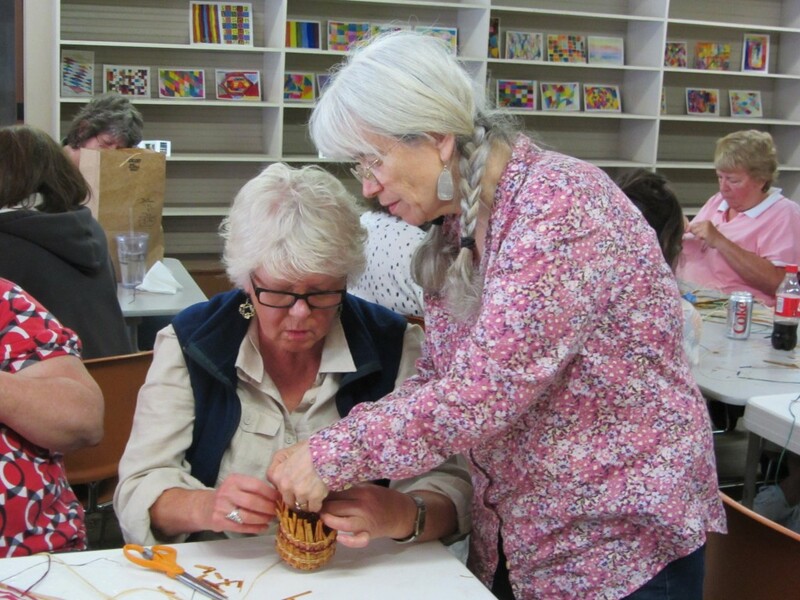 Over the years she has mastered many styles of basket weaving traditional to the Makah people including some older styles that are rarely practiced today. She has specialized in the Ozette-style Makah baskets, an 800-year old tradition of her people. Melissa’s most recent artistic innovation was to master the “burden basket,” one of the most difficult to make because it involves gathering of materials at different times of the year and preparing each material individually. Melissa is also dedicated to maintaining the association between the Makah language and the art of basket-making. The Northwest Native American Basketweavers Association has selected her twice as a featured basket weaver and she has been involved with activities at the Makah Cultural and Research Center since it opened. 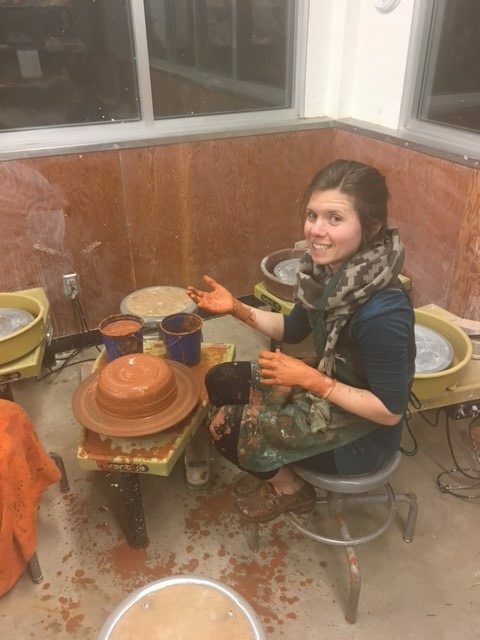 Melissa has had the opportunity to teach her daughters this ancient art through the Washington State Arts Commission Apprenticeship Program. Daughters Madeline Kelby of Seattle and Samantha Della have been weaving since childhood and continue to carry on their family’s traditional weavings. Their apprenticeship allowed them to learn more about wrap twine basketry and other techniques, Makah language basketry terms, and gathering of traditional materials such as sweet grass and bear grass. Kelby and Della hope to carry on the traditions of the Makah, and pass them on to the next generations. While stitching by her grandma’s knee at age 4, Bobbi developed a lifelong passion for needlework. She pursued it through her college career, volunteered at a number of museums, wrote magazine articles, delivered lectures, and has taught over 30 years. Specializing in “vintage” fine hand sewing techniques, with particular interest in costuming and embellishment, it remains a passion. Joelle Montez has worked with clay for 9 years. 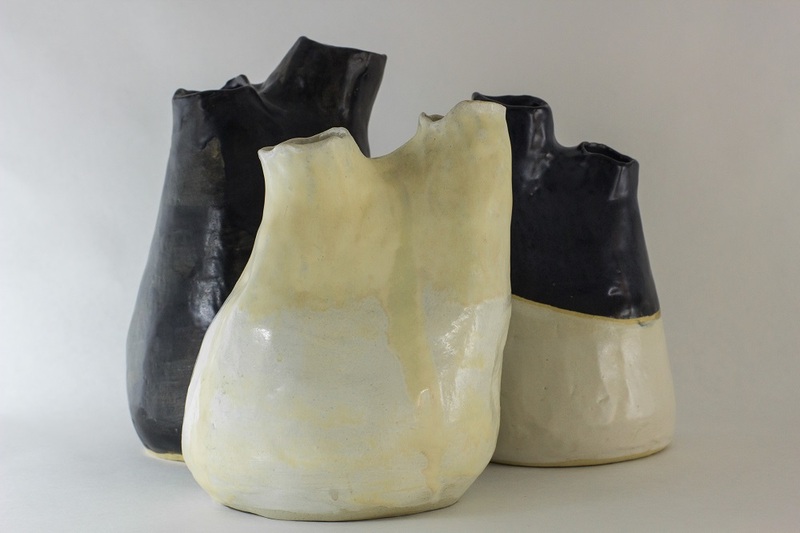 She fell in love with ceramics while studying biology and ethnicity, and in her work she incorporates themes of natural science and social awareness. She believes that art-making has the power to heal and make great change, both personal and social, and that everyone can participate in this process. I have been an artist/athlete for as long as I can remember. The sensation of doing something, anything creatively active has always been my life’s favorite pursuit. Evergreen State College brought me to Olympia in the early 90’s. I liked how it was close to the ocean when I wanted to surf, I liked how people were passionate and communicative about their ideas. I liked the walkability and bikeability. Everything about this community still resonates with my heart and mind. 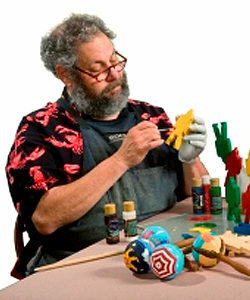 Although I learned to work with clay in middle school, I really began to focus on my work in the late 90’s, early 2000. From this time to now, I have continuously developed my skills as a tile artist and potter. I am really proud that my work is in so many places around Olympia. From the little bowl in someone’s kitchen, to the entrance at Old School Pizzeria, to the L.O.T.T. Reclaimed Water Tank Project. Thank you for supporting me and I hope to see you at Arbutus. Pamela Davis is a ceramic and metal artist who lives and works in Olympia, WA. 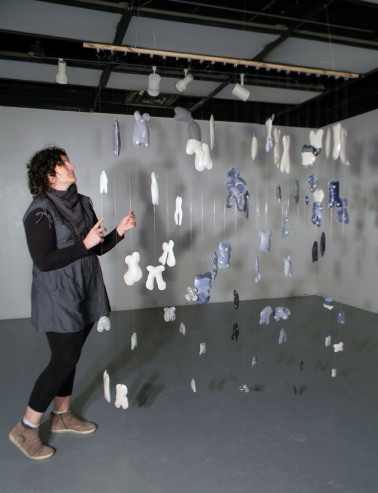 Her work ranges from 3-D ceramic and metal pieces, installation art, works on paper, and jewelry. Form, line, and concept are important elements in her work. Her themes include environmental relationships, the body, and intersections of perspective. Pamela hold a Bachelor of Arts from The Evergreen State College. 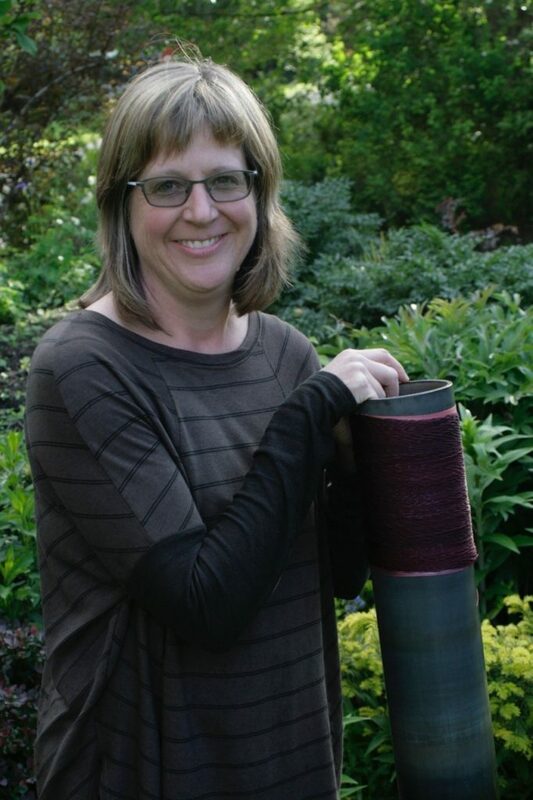 She works at Evergreen as the Fine Metals Studio Technician and at Arbutus Folk School as the Program Administrator. Nicole Gugliotti was born in 1979 and raised under the hot Florida sun. In 2005 she relocated to Tokyo, Japan where she lived for 3 years. In 2008 she returned to the U.S. and her Floridian roots. 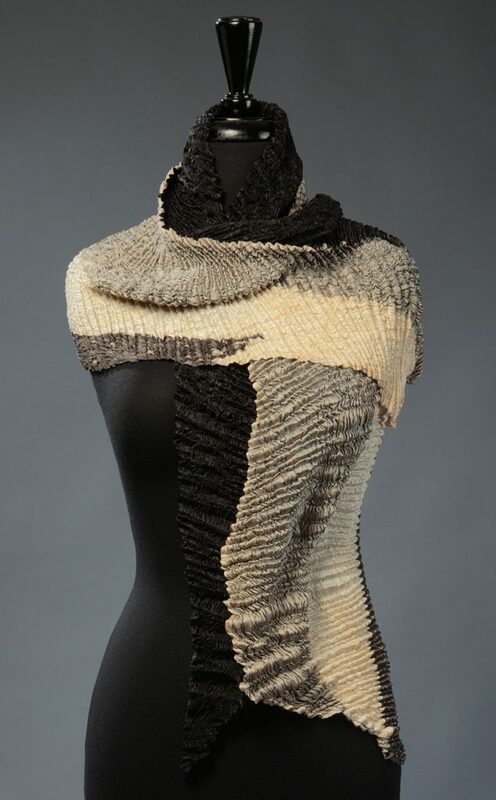 Nicole completed her MFA from the University of Florida in 2014. 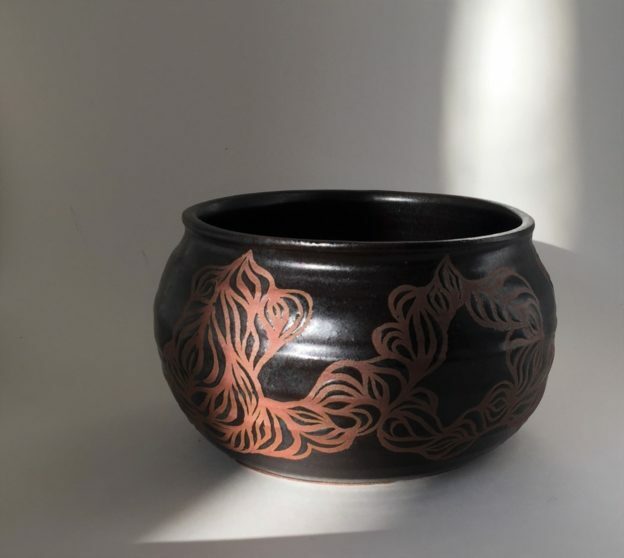 She has exhibited in solo exhibitions at the Tim Salen Gallery in St. Petersburg, FL and The Institute of Ceramic Studies at The Shigaraki Ceramic Cultural Park in Shigaraki, Japan. Curatorial projects include Think Warm: Miami Draws for You at the Tomio Koyama Gallery in Tokyo, Japan and The Art Lending Project in Gainesville, Florida. Currently based in Olympia, WA she maintains her own studio and is the Instruction & Classroom Support Technician the Art Department at South Puget Sound Community College. Jennifer moved to Washington in 1988 to attend college, and quickly became rooted in the Olympia area. 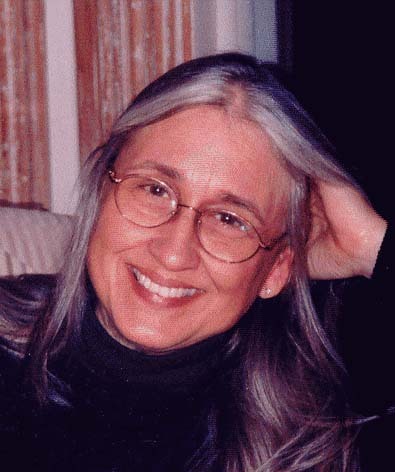 After college, she co-owned a small Olympia restaurant for a couple of years, then shifted to social work and child advocacy, always making art in her spare time, which she exhibited and sold at local shops and independent art shows. In 2000, she discovered mosaic and it became her medium-of-choice. She has lived 30 miles Southwest of Olympia for 12 years now, enjoying the incredible beauty surrounding her, working in her studio and tending a large garden, chickens, geese, ducks, and goats. She is also the parent of a spirited 10-year-old, and is grateful to have a flexible schedule so she can be available to her as needed. Over the past 13 years, Jennifer has developed her mosaic technique and style. Her work is split between gallery exhibits, solo art shows at various venues, occasional art festivals, commissions, public art, and community art events. Having many different projects in progress at any one time helps her to maintain interest and to keep growing with her art. She generally has at least three active projects in her studio at a time, ranging from purely decorative to abstract to intricate realism, and she is able to maintain momentum by moving from one to another each day, or after several hours of work. On Fridays, she teaches a drop-in art program for at-risk youth in Shelton. 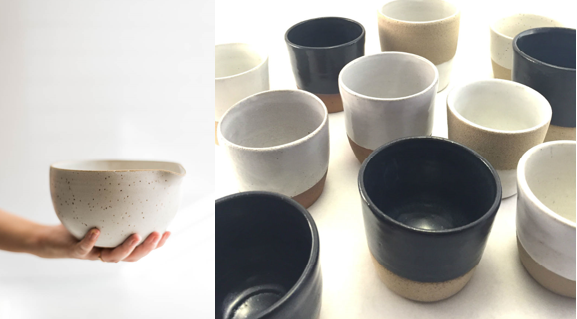 Ryan Lee is a bread baker and potter that makes simple pots in his home workshop on Harstine Island. He strongly believes that objects made by hand with intention have the power to enhance daily experience and are great for reminding us to slow down and look closer. His pots can be found in shops, cafes, and kitchen cupboards throughout the country. Mariella is a graduate of the Evergreen State College and a long time Olympia resident. In addition to her ceramics work, she serves on the board of the Washington State Arts Commission, the Olympia Artspace Alliance and was formerly the Executive Director of the Olympia All Ages Project. Keith Phillips born and raised in Washington. He is a veteran of the Navy & Coast Guard, and graduated from Central Washington University 1979. He has been cutting and carving various types of stone and hard rock as an architectural restoration and new construction stonecutter for 32 years. 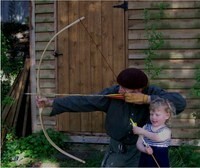 He has done a variety of demonstrations and instruction for many years. He lives in his ancestral home town of Tenino, WA. Ed Salerno studied graphic design at the Art Institute of Seattle and is now entering his third year as apprentice to Keith Phillips. He has completed nearly 100 carvings and sold numerous works to local businesses and private collectors. 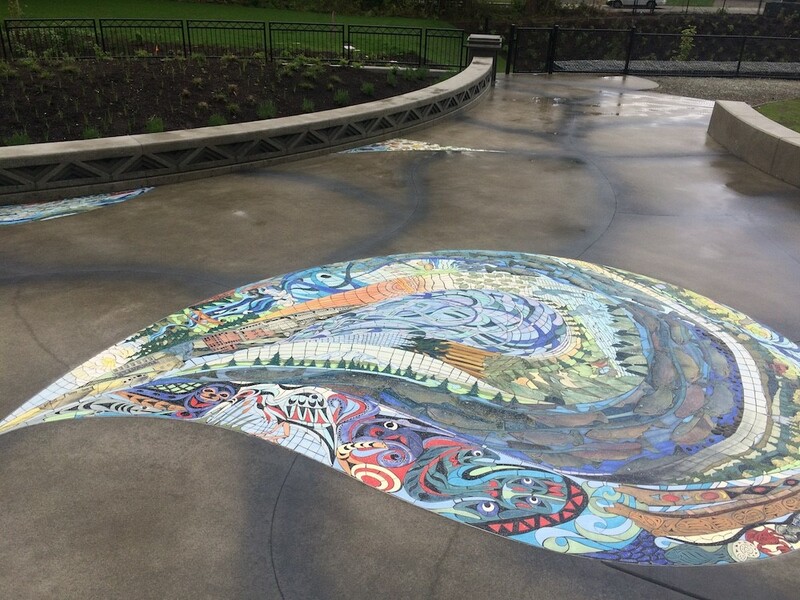 In the summer of 2017 his first public commission will be unveiled at the Tenino City Park. He is a member of the Northwest Stone Sculptors Association and a native Olympian. Kelly first moved to Olympia in 1988 to attend The Evergreen State College, where he was able to combine his passions for natural history and three dimensional art in his studies. Upon graduating from Evergreen Kelly worked as a field biologist throughout the Northwest eventually settling in Seattle to raise a family. 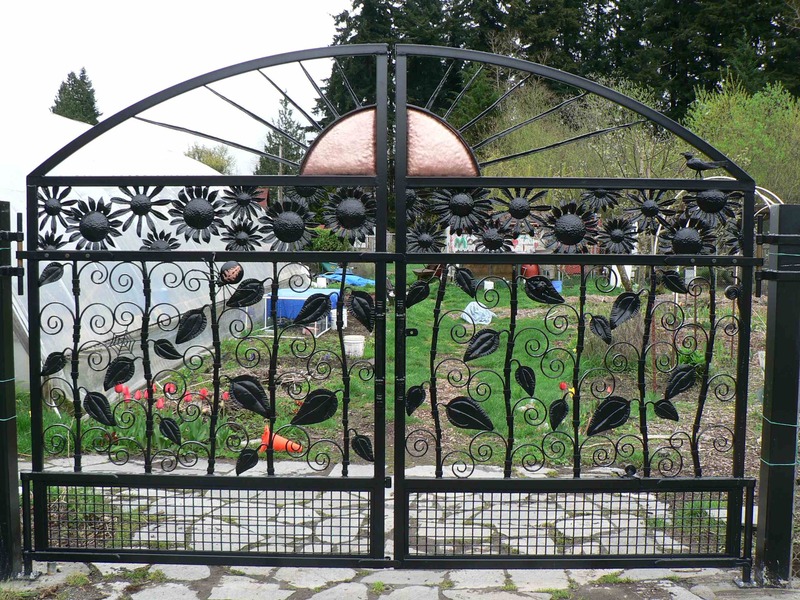 While in Seattle, Kelly worked as a machinist, gaining an interest and skill in working with metal. 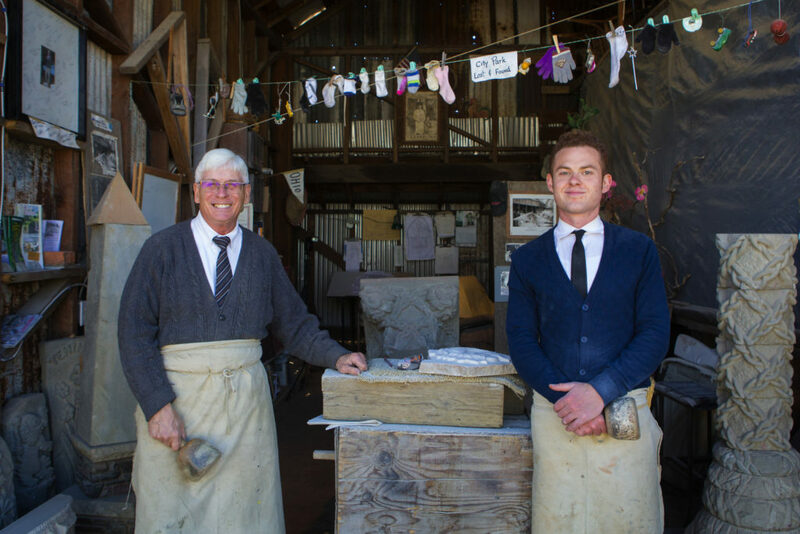 Kelly soon inherited his grandfather’s coal-burning forge and a couple of basic blacksmithing tools. He studied at Pratt Art Institute in Seattle as well as with local blacksmiths. Kelly and his family returned to Olympia in 2006, and Kelly started his own business, Big Hammer Technology. Kelly’s metalwork draws on his passion for the natural world where birds, insects and natural forms are reoccurring themes. 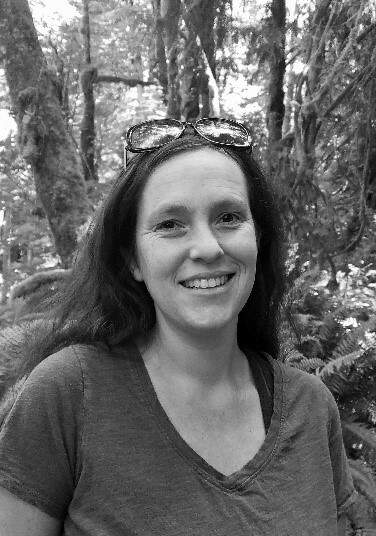 Kelly has taught blacksmithing classes at South Puget Sound Community College and The Evergreen State College. Kelly is excited to have the opportunity to continue the blacksmithing tradition of teaching others his craft. 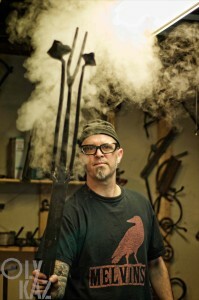 At Arbutus, Kelly will be teaching beginning and intermediate blacksmithing techniques and how to set up a basic home smithy. IMPORTANT NOTE: BLACKSMITHING CLASSES ARE LOCATED AT KELLY RIGG’S STUDIO AT 6305 Rich Rd. SE, Unit C, Olympia, WA. Click here for Google map. (Yelm Highway to Rich Rd SE, 3/4 Mile (or so) on right hand side to “Arts Park” main entrance. Look for the “Studio 23” sign above the studio entrance.) Please bring a lunch or drive to food services nearby. 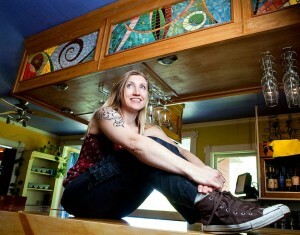 Jami Heinricher is the owner of The Sherwood Press and WIND•EYE Handmade Paper in Olympia. She studied astrophysics and philosophy, and is a graduate of The Evergreen State College. Her childhood passion for paper, typefaces, lettering, and bookbinding continued as hobbies through school and her early professional life as a graphic designer. 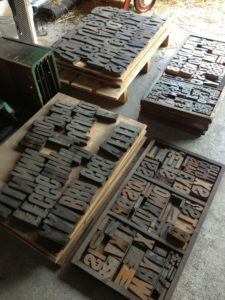 But things got real when she began a 14 year apprenticeship in 1989 to the founder of The Sherwood Press. In 2003, she assumed ownership over the historic letterpress print shop and continues the legacy of design and letterpress printing for hire. In 2014 Jami started WIND•EYE Handmade Paper, a small papermaking studio at her home. Hilary Morris has over twenty years of experience working with children. She has taught art and poetry classes, led hiking clubs for kids, volunteered in elementary and middle schools, run summer camps for children of all ages, and, ten years ago opened Roots and Wings Preschool in her home. She loves to create art with children, often drawing inspiration from the natural world. Peter Yencken is an experienced bowyer and craftsman. He grew up on a sheep station in Australia, has worked as an instructor at Tom Brown’s Tracking and Wilderness Survival School. Peter also has a degree in Chinese medicine. 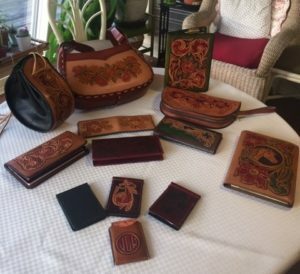 In 1959, while John was in the U.S. Navy, a friend introduced him to leathercraft. During his 20 years in the navy, he used this enjoyable hobby to fill his free time while out at sea. Twelve years ago he joined the Puget Sound Leather Artisans Co-op. Through this group he has taken many classes from professionals and soon began teaching classes himself. He then began entering his work in the Puyallup State Fair, winning many awards and four Grand Champions. In 2014 he began teaching a leather group at the Lacey Senior Center, sharing what he has learned through the years. He has entered the National Veterans Creative Arts Competition for 4 years, winning bronze, silver and gold medals. This year he was invited to attend the national festival – winning the gold medal. Scuff grew up outside Chicago, but got his start in music after he moved to Olympia in 1997. He picked up his first instrument (the mandolin), started his first band, and played his first gig (at the Capitol Theater!) here. 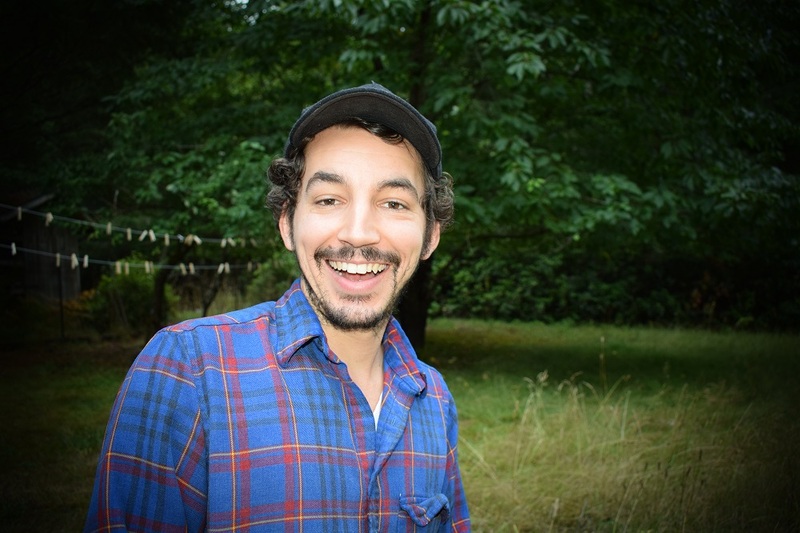 Since then he’s been in many bands and played many gigs in Olympia and all over the country, working with folks like The Tune Stranglers, The Mud Bay Jugglers, Hot Club Sandwich, Ben Hunter and Joe Seamons, his current project Hokumville, and many more. About eight years ago he started working with the Lincoln Options Elementary percussion band, which got him started teaching others about the joy of music. He continues to teach there, and has been so inspired by that, he started teaching more and more people on more and more instruments. 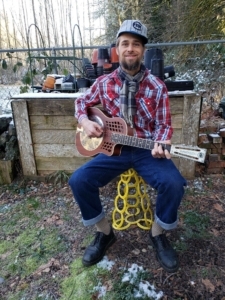 He’s taught all ages of folks how to play guitar, washboard, ukulele, and songwriting in many different venues from festivals to his own home music studio. Music is his life passion, he believes everyone is musical, and he’d love to help turn you on to the joys of listening to, playing, and enjoying music!